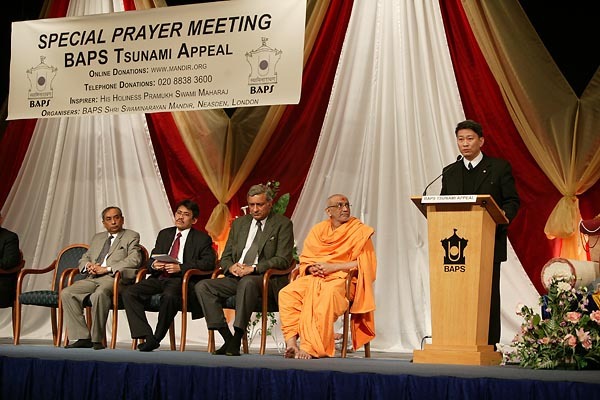 Representatives from all the nations directly affected by the South East Asia tsunami came together on Sunday 2 January 2005, for the first time since the tragedy, for a service of special prayers at the BAPS Shri Swaminarayan Mandir, Neasden. 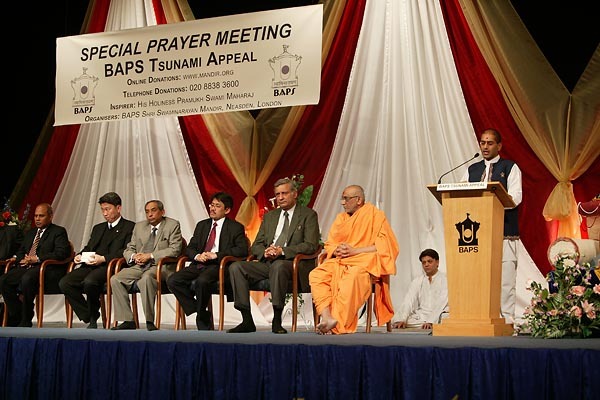 The representatives joined more than 3000 people in a show of solidarity with the citizens of the countries devastated by the tsunami. 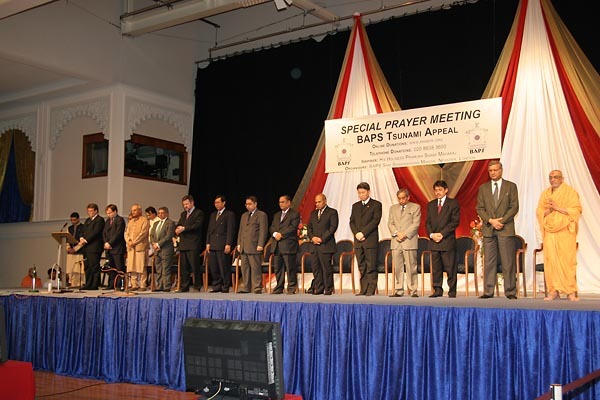 The countries represented were Bangladesh, India, Indonesia, Malaysia, Maldives, Myanmar, Sri Lanka and Thailand. 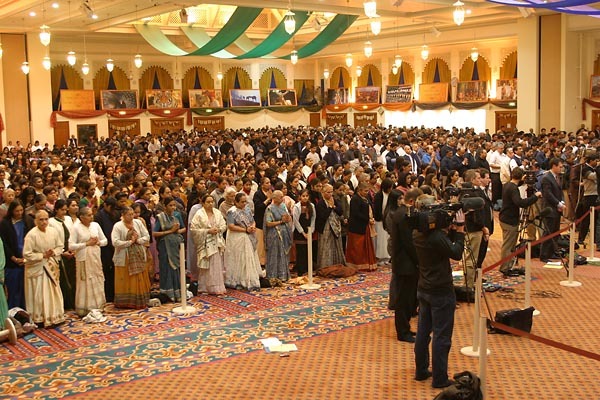 The programme commenced with Vedic Prayers for the tens of thousands who have died or been injured. All the representatives were given an opportunity to express their countries’ shock at the destruction wreaked by the earthquake and subsequent tidal waves. 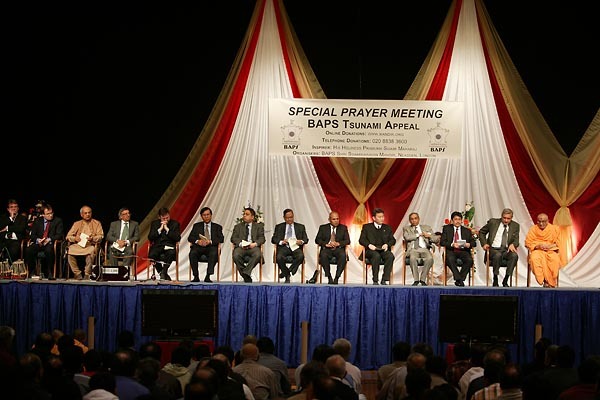 The representative of the Embassy of the Republic of Indonesia expressed the deep appreciation and gratitude to BAPS Swaminarayan Sanstha for conducting these special prayers and outlined the immediate requirements of his government. 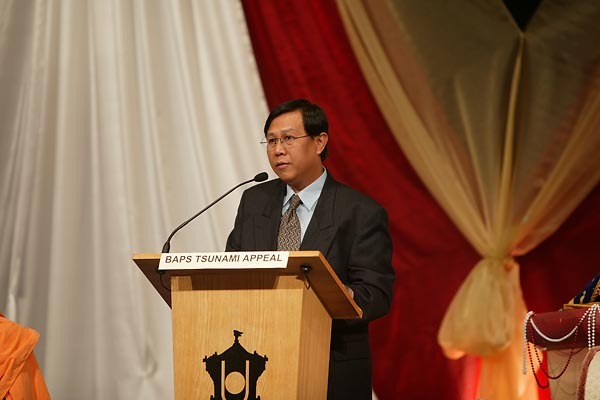 The Deputy Chief of Mission for the Royal Thai Embassy, Mr Bansarn Bunnag spoke of the support given by the people and government of United Kingdom. 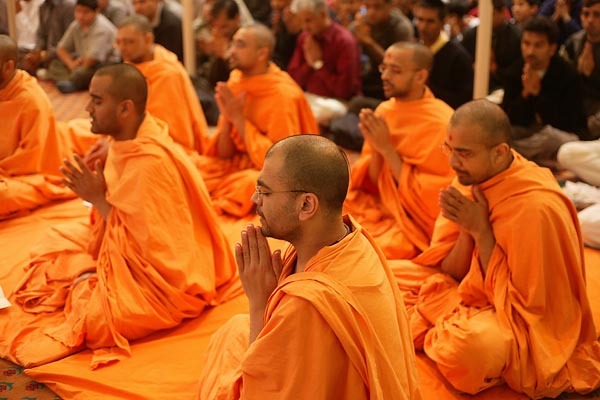 He went on to thank the Mandir for holding the prayers. 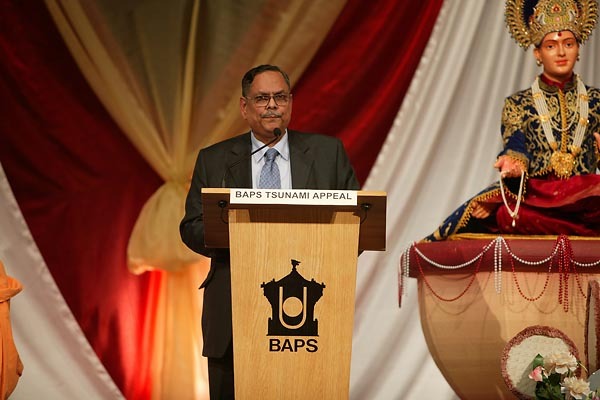 The High Commissioner for Bangladesh, His Excellency Mr. A H Mofazzal Karim spoke of how this tragedy had united the world. 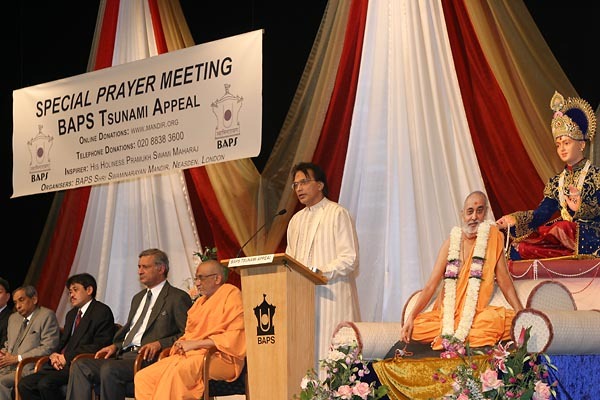 Mr Hirul Al-Rashid representing the Malaysian High Commission thanked the Neasden Mandir for holding the prayers and went on to say that his government had set up a Tsunami Fund for the sole purpose of providing humanitarian assistance to other affected countries. 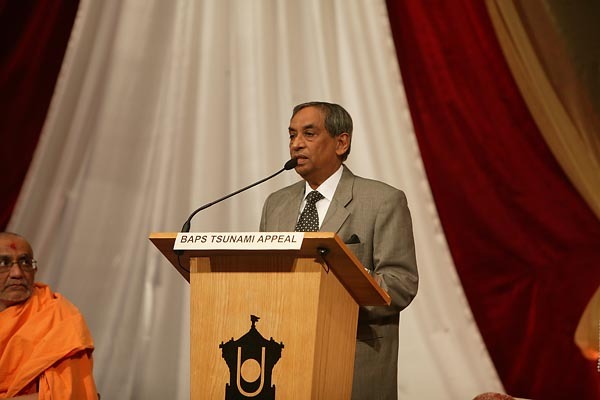 Mr Thike speaking on behalf of the Union of Myanmar spoke of the support given by the international community. Rt Hon. 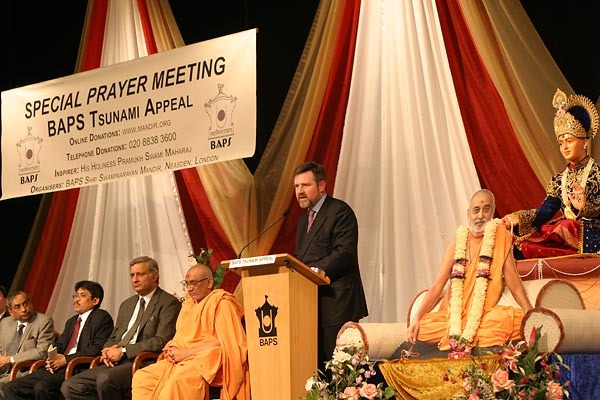 Gareth Thomas, The Minister for International Development, UK spoke of the chance to gain comfort and to create solidarity with the peoples affected. He went on to say “…that we have responsibility to brothers and sisters we have not met around the world, that we are citizens of the world and not just citizens of Britain.” He went on to say Britain would be there for the long term and hoped to persuade other rich nations to do more to cancel the debts of the poorest nations of the world. 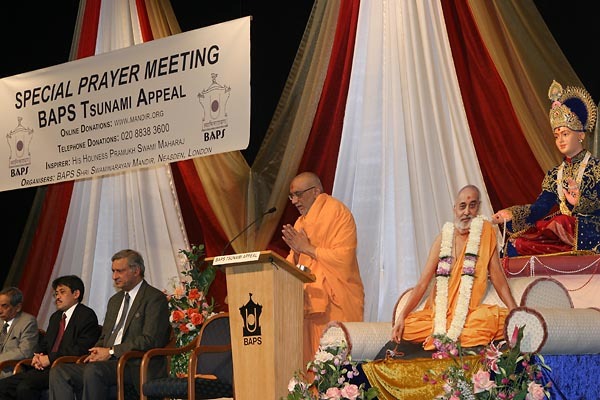 A special written appeal and blessings by His Holiness Pramukh Swami Maharaj were read out to the congregation. 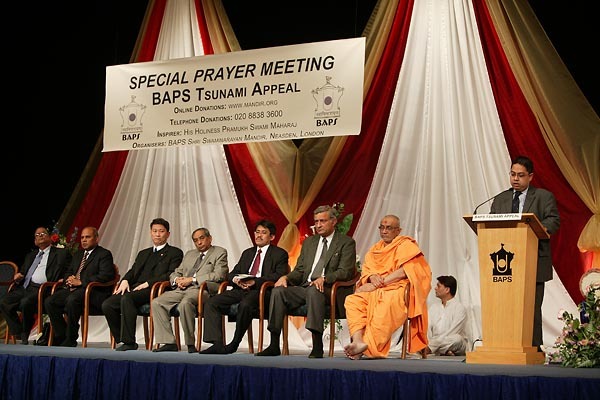 His Holiness spoke of the loss of lives and the destruction of property and how BAPS volunteers had started relief work on the day of the disaster. 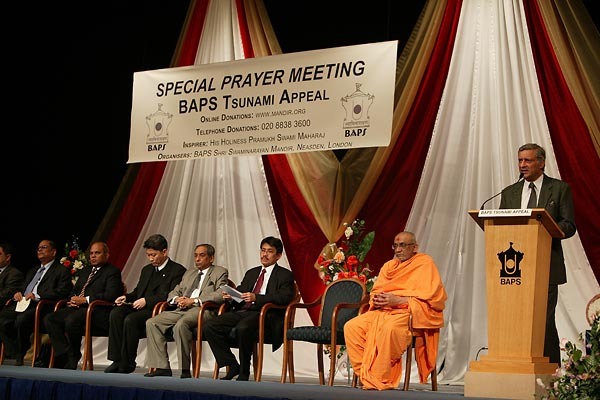 He appealed to people all over the world to help in this time of crisis and need. 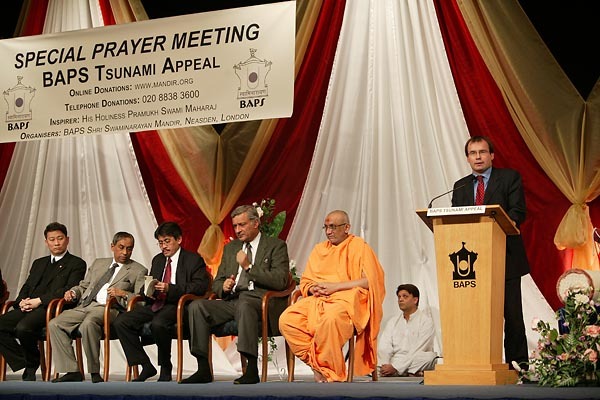 He said “It is our duty to provide humanitarian aid regardless of community, caste, colour, creed or country and other differences.” He prayed to Bhagwan Swaminarayan that all those afflicted by this disaster be blessed with inner strength to overcome these difficult times, and that the souls of the deceased be blessed with peace and their relatives be blessed with the strength to cope with the loss of their loved ones. 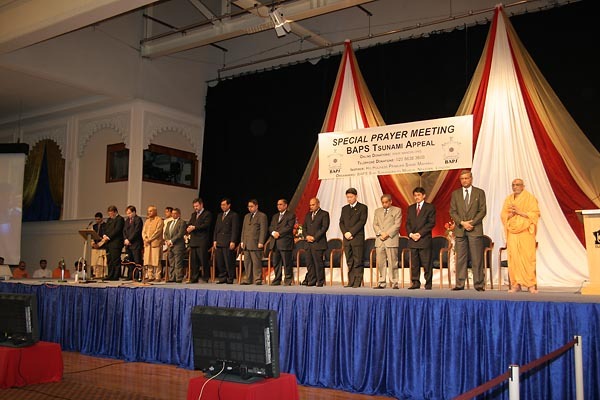 Following this, the Haveli Prayer hall fell silent as a two-minute silence was observed by all those attending the prayers. 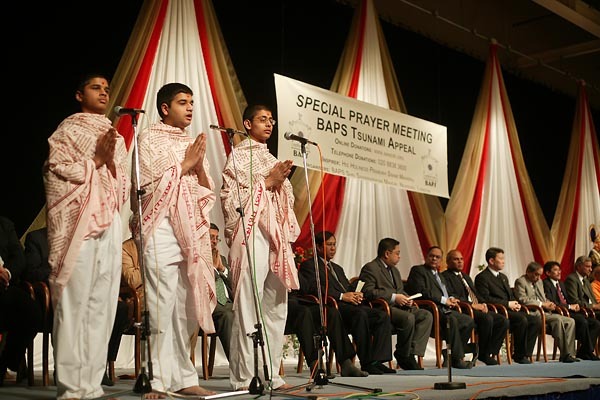 The children of BAPS Shri Swaminarayan Mandir concluded the prayer meeting by chanting the Shantipaath, a prayer of peace.